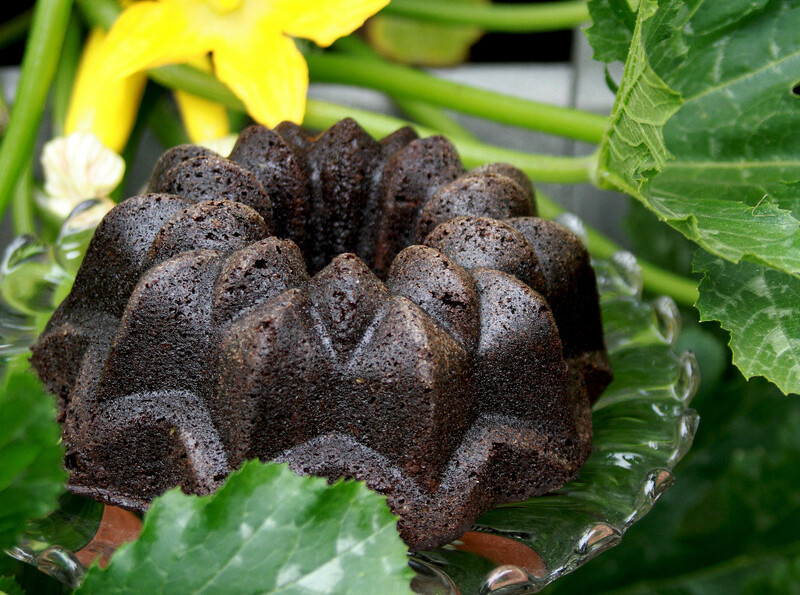 Zucchini = Chocolate Zucchini Cake! 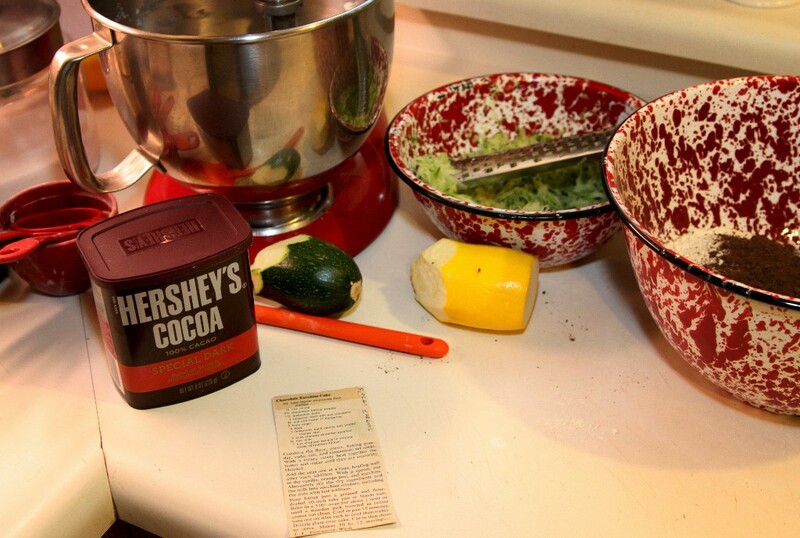 I’ve been making Chocolate Zucchini Cake from the same recipe since the early 1970’s. I cut it out from Sunset Magazine way back then and got so many rave reviews I’ve transferred it from my old metal recipe box to numerous updated recipe binders. It’s a keeper! The secret is in the chocolate and the age of the zucchini. I use only Hershey’s Special Dark…it makes a huge difference. And, I only use fresh young zucchini. As they age and grow to the huge proportions they become less moist and have more seeds which changes the texture of the cake. Pick young – shred well! 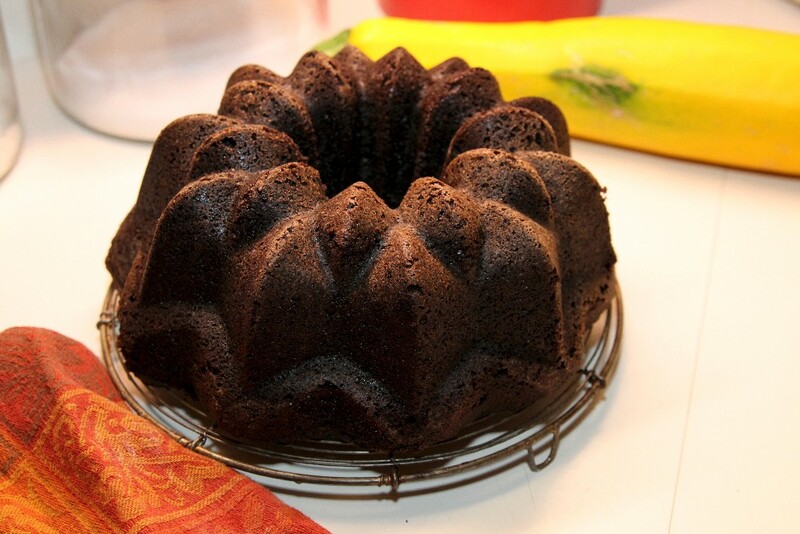 I use a heavy, decorative bundt pan so I cut the baking time by 5 mins. or so. This cake should be just done, and not at all crusty around the edges to have that heavy, moist feel that makes it so good! So, here it is….I can’t take any credit except for holding on to my little stained copy for so long….Enjoy! Combine the flour, cocoa, baking powder, soda,salt, and cinnamon; set aside. With mixer beat together the butter and sugar until they are smoothly blended. Add the eggs one at a time, beating well after each addition. With a spoon, stir in the vanilla, orange peel, and zucchini. 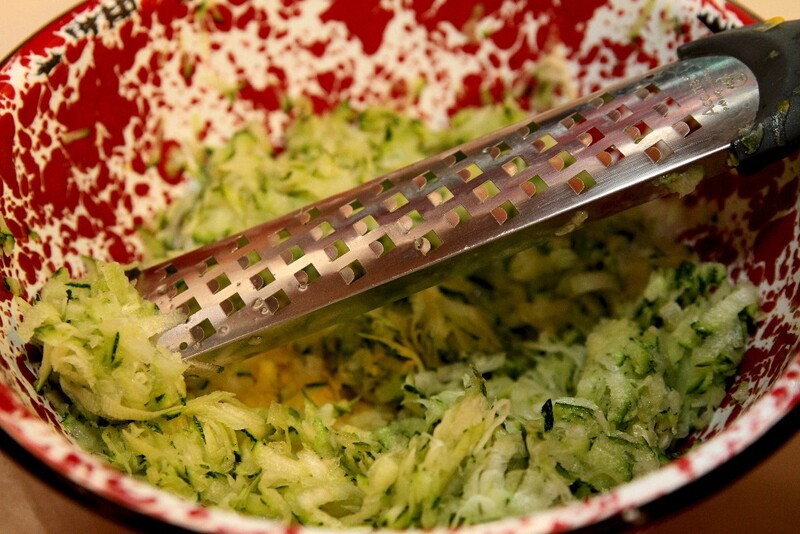 Alternately stir the dry ingredients and the milk into zucchini mixture, and add nuts if desired. Pour batter into a greased and flour dusted 10 inch bundt pan. Bake in a 350 degree oven for 45 mins to an hour or until a wooden pick inserted in center comes out clean. Cool in pan 15 minutes; turn out on wire rack to cool thoroughly. Cut in thin slices to serve. Makes 10-12 servings. Originally submitted to Sunset Magazine in the 1970’s by J.A., Vancouver, Wash.
← Hydrangea Cuttings…Make More of the ones you love! Subscribe to receive email notices!